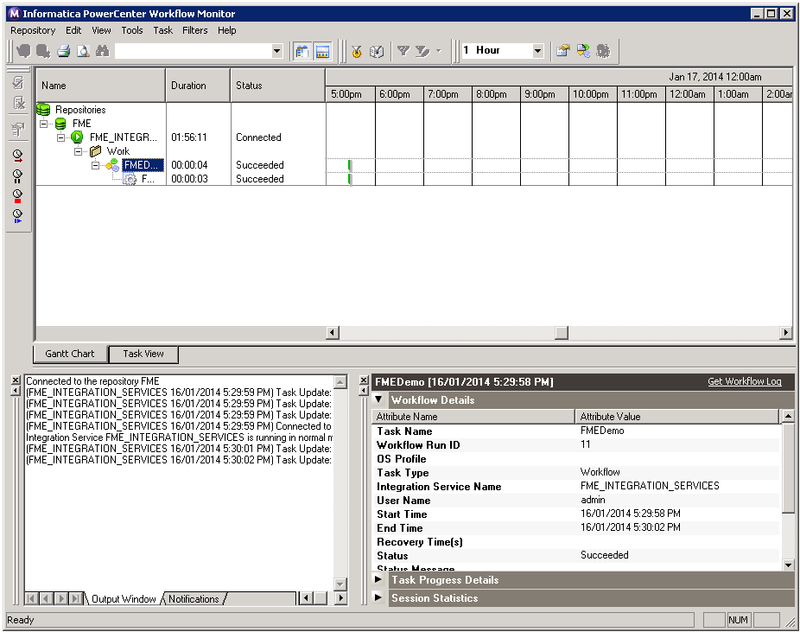 This article explains how to run FME Server jobs from Informatica PowerCenter. 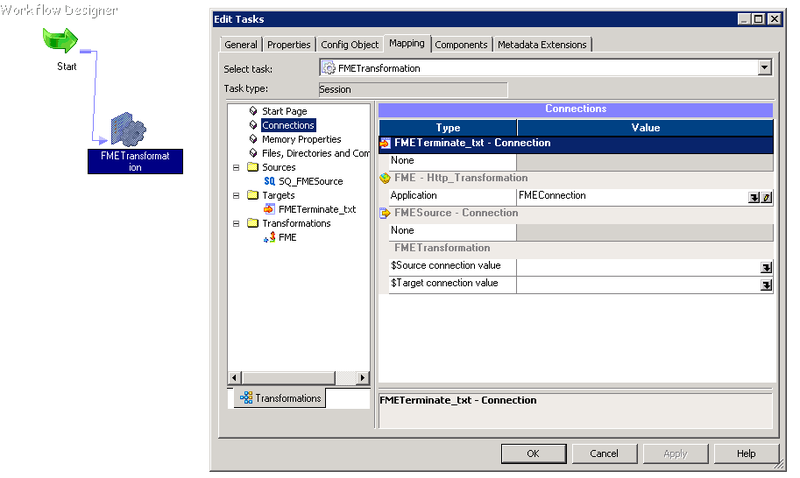 In the tutorial, we will be submitting a job to FME Server using the REST API, and using the web applications. Parameters for the job will be read from a text file. With multiple lines of parameters in the input file, you could use this approach to run a batch of multiple jobs. 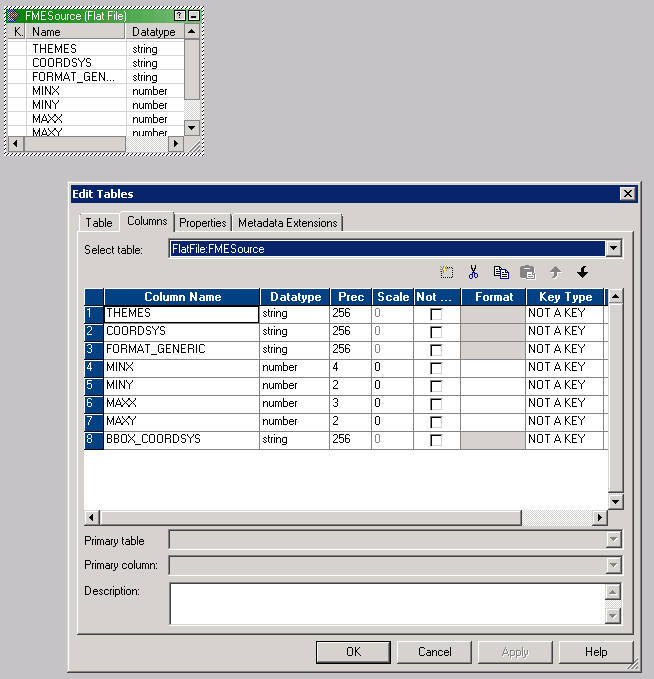 First, you will need to create an input file containing the parameters for each job to be run. Each published parameter of the FME Server workspace should be a field in a tab-delimited file. (Tab delimiters are recommended so that commas can be used in parameters. This file is available in the attached zip file as “FMESource.txt”, and is optimal for use with the REST API. This overwrites the HTTP Transformation base URL and allows use of authentication. 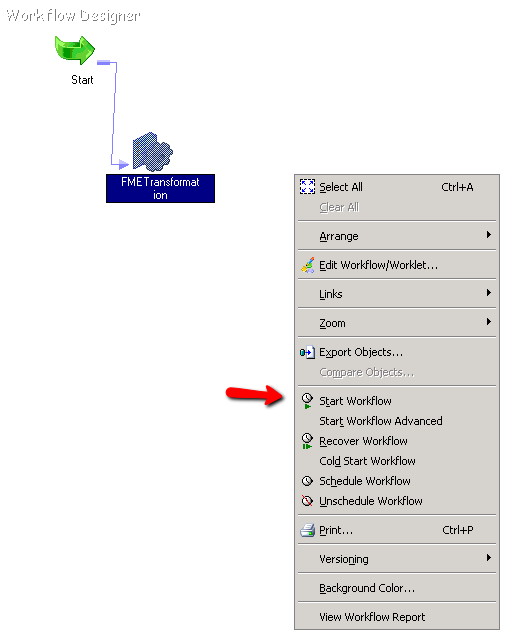 You can now run the workflow by right clicking in the Workflow Designer canvas and selecting “Start Workflow”. The result can be viewed in FME Server’s web interface. From here, you can access log files and manage jobs. 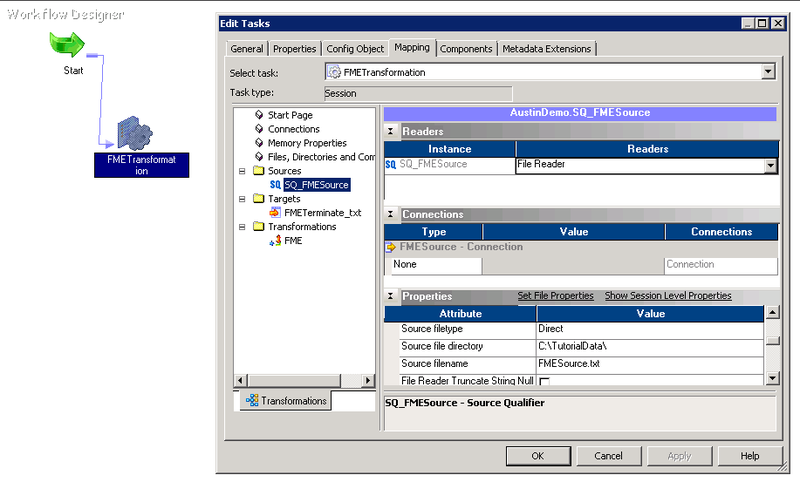 The URL for the request can be obtained by visiting http://:/fmerest>:<port>/fmerest and clicking the API tab. The request we’re interested in is transformations/commands/transact. 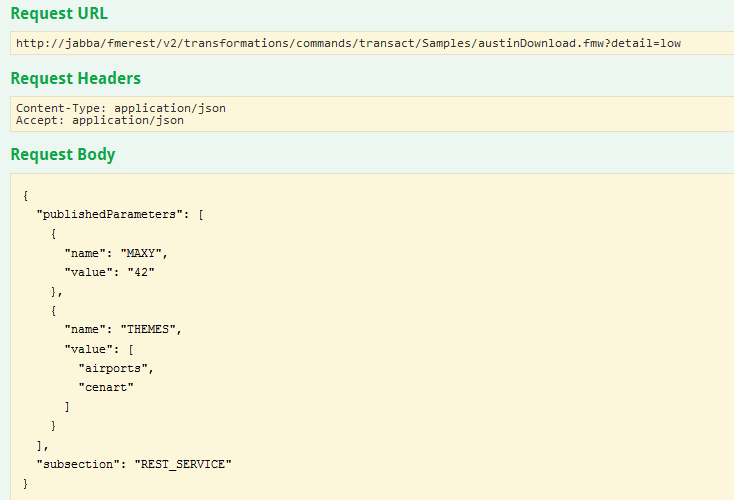 We will use one of the built-in sample workspaces, austinDownload, since it has several published parameters. The content for the expression is also available in the attached zip file as expressionContent.txt. post_body_concat is the variable, which is used as the content for the output port post_body. We will overwrite the base URL by using a connection object (so that we can use basic auth). 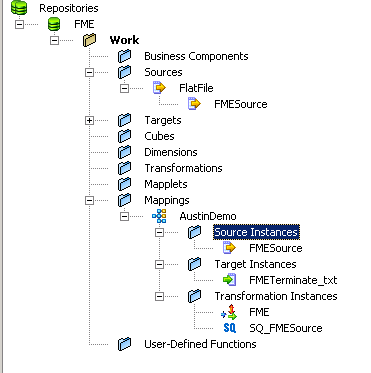 Define a connection to the FME Server in Workflow Designer. Connections > Applications > Http Transformation > New. Define the base URL you obtained earlier. Using a direct URL to the fmejobsubmitter or fmedatadownload web application is also an option for submitting a job. In this case, you do not need to submit a request body, but rather, all the published parameter values are provided as URL parameters. The direct URL for submitting the austinDownload.fmw workspace as a job can be found by going to Repositories > Samples > austinDownload.fmw > Job Submitter - Configure, and then clicking “Show Developer Information”. 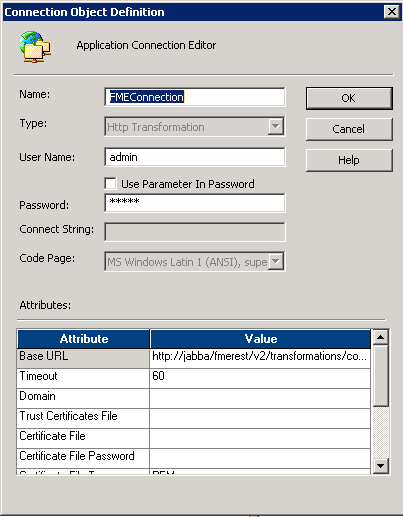 This URL (without parameters) can then be used as the base URL in FMEConnection (see section 2a). 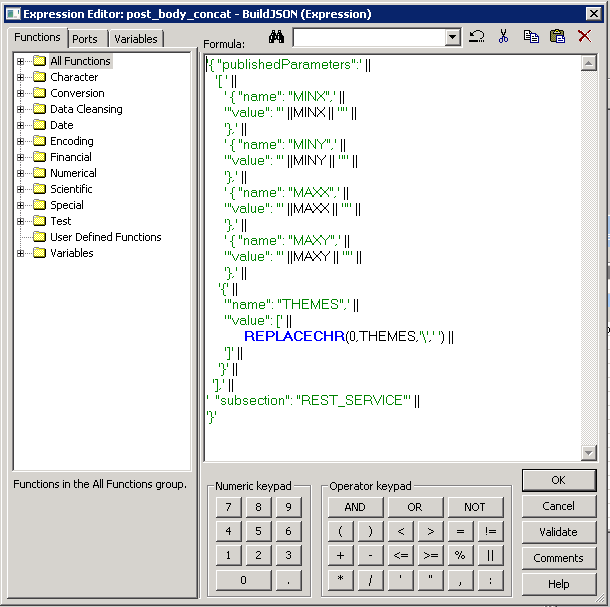 To configure the parameters, you will not need to use an Expression Editor, as you can simply supply THEMES, MINX, MAXY etc. as inputs to the Http Transformation.